Try to memorize the school’s layout and item locations. This will make future runs much easier. You’re free to scope out the school at the beginning, so use this to your advantage. Hate jumpscares or just want the game to be easier? Hold L when pressing A at the title screen or disclaimer screen. If you did it correctly, a beep will play. Welcome to easy mode. 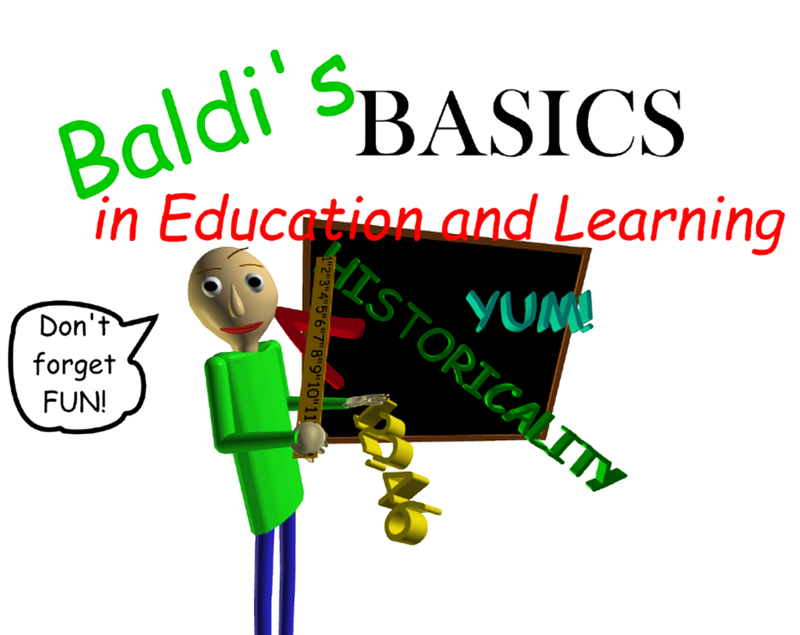 You don’t have to get the notebooks right by Baldi at the start. The whole school is yours from the beginning, unlike in the original. Baldi can only travel through the main halls and cafeteria unless he sees you, meaning you can use rooms as cover. Unlike the first game, however, he knows where you are at all times. There are no extra characters or items besides the Energy Flavored Zesty Bar, but that may soon change. Strafing is faster and less cumbersome than actually trying to turn. However, you won’t be able to see entrances to rooms or other things behind you if you only use this method. Just because you can use rooms as cover doesn’t mean you should. Baldi can and will camp you if you try to camp in one of the classrooms. Don’t stay too long unless you’re willing to make a run for it. Pay attention to the distance meter and warning text. “Danger!” means that Baldi is extremely close to you. If you see “RUN! !”, then Baldi is now locked on to you and actively pursuing you. Speed-wise, do you mean the rate at which the camera turns or the player’s forward movement speed, or both?